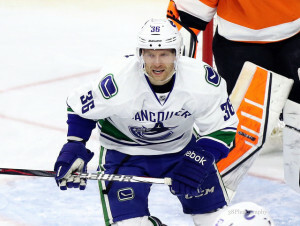 Who do the Canucks Play in 3-on-3 Overtime? 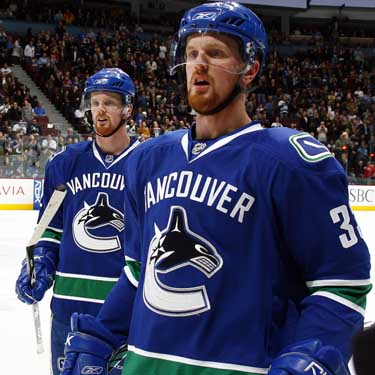 The two obvious choices, the Sedin twins would eat opponents alive should a contest get past 60, and eventually into 3-on-3. With their impeccable vision and uncanny ability to execute mind-blowing passes with ease, the extra ice would be right in their wheel house. The kind of stuff they’re able to do with five opposing players on the ice at any given time is jaw-dropping, so it’s hard not to drool at the thought of what they could accomplish with only three. Of all the players in the National Hockey League, you would be hard pressed to find many who could be more useful in a 3-on-3 situation than these two. One criticism of the Canucks this season is their lack of raw foot-speed, and while it is certainly a fair judgement, they do boast a handful of legitimate speedsters, one of the more notable ones being Jannik Hansen. Hansen is having one of his best seasons to-date this year, and one of the biggest factors in that is the fact that he’s using his blazing speed to his advantage. He’s already a force to be reckoned with at 5-on-5, and with all the open ice, there’s no end to possibilities of what Hansen could do. Alex Edler has always been one to enjoy the creative aspects of the game of hockey, and while he’s hardly a dynamic defender, he is capable of moving the puck and making quality, offensive plays. In all likelihood, Edler would be given the green light to put everything he can into scoring in a 3-on-3 situation, and that may just be right in his wheelhouse. He has definitely focused more on the defensive side of the game this season, but the talent is in there. He just needs the right situation. You might be thinking “what? Chris Tanev? 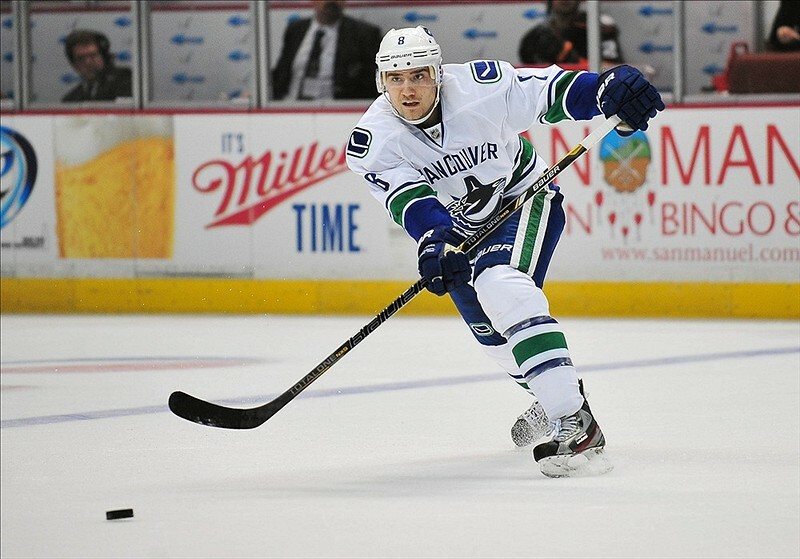 The Chris Tanev of a whopping two career goals?” Yes, it is that Chris Tanev of which I speak. No, he doesn’t have very much offensive upside, but what would make him stand out among his peers in the updated version of overtime, is the fact that he makes a better outlet pass than anybody else on the Vancouver Canucks blue line, and he has a knack for joining the rush at just the right moment. 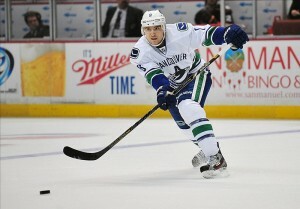 With all the extra space, it could give Tanev a chance to show what he’s made of. While Kassian is more known for his beastly size and enthusiastic celebrations, he can also make a great tape-to-tape pass, can dangle out legitimate NHL goaltenders and has even admitted that he prefers to play a finesse style than a physical one. Considering his lethal combination of size and skill, 3-on-3 might just be the perfect time to let that shine through for the young power-winger. All in all, it would probably serve the Canucks well to go with two forwards up front, with a single defenceman on the ice at any one time. Three-on-three overtime is nothing but a good thing for the NHL, and it will likely work to the advantage of the Vancouver Canucks as well.